NFU Scotland (NFUS) has called on the Scottish Government to pull out all the stops to ensure all outstanding 2017 farm subsidy payments are made as soon as possible. The farmers’ union said farmers and crofters were in desperate need of Pillar 2 payments through Scottish Rural Development Programme schemes. These include the Less Favoured Areas Support Scheme (LFASS), Agri-Environment Climate Scheme, Forestry Grant Scheme, Rural Priorities, and Land Managers’ Options. “Although a good amount of payments have been made, for those individuals with outstanding sums due we must pull out all the stops to ensure that all payments are made in full as soon as possible,” said NFUS president Andrew McCornick. 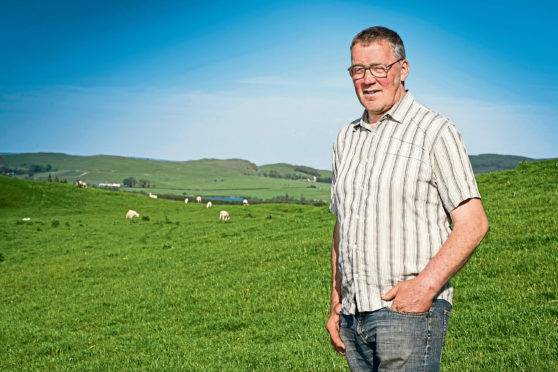 “A farmer or crofter who may not have received Pillar 2 payments over the last two years could now be finding themselves with a serious cash flow problem, especially after the winter and summer we have had. “LFASS payments can be a large chunk of overall support for many in more disadvantaged areas – who face spiralling costs and flat-lining returns at best. He said it was important for Scotland’s rural communities that payments were made sooner rather than later. “When farmers are properly supported, the positive impact is felt throughout surrounding areas with businesses such farm shops, fencers and mechanics all reaping the benefits,” added Mr McCornick. A Scottish Government spokesperson said: “While over 95% of Pillar One payments were made ahead of the deadline and the vast majority have now been paid, as in any year there are a number of complex administrative cases that may require additional confirmation from the farmer or crofter.